The Community Life Facilitators are responsible for the overall leadership of the Life Group Ministries as well as the youth and young adult ministries at Trinity. Cody was born in Denver and grew up at Trinity Church. He graduated from Wheat Ridge High School in 2013. After one year attending Red Rocks Community College, Cody transferred to Colorado Christian University to major in business. 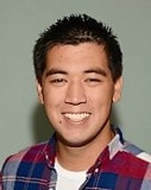 His vision is to make disciples and help the youth have a meaningful relationship with God. He looks forward to serving God in ministry wherever He leads.